The Community Food Bank Luncheon brought the Kean community together to spread awareness about hunger and homelessness. During a holiday season which encourages sitting together for a meal with loved ones, some people are not able to have this luxury. 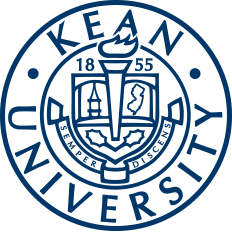 On Tuesday, Nov. 13 from 11 a.m. to 2 p.m. the Student Organization at Kean University hosted the Food Bank Luncheon at the Cougar's Den in the Miron Student Center (MSC). As a part of the National Hunger and Homelessness Awareness Week, this annual event was meant to spread awareness about the issue of hunger and homelessness within various communities. In order to help alleviate this issue, Student Government sought out donations to raise money for the Community FoodBank of NJ. This event facilitated its fundraising through $1 donations which equated to $10 worth of food. The Community FoodBank of NJ (CFBNJ) has the mission to fight hunger and poverty in NJ. With NJ in mind, this organization assists those in need, seeking long-term solutions. They promote engagement, education and empowerment in all sectors to battle society's issues of hunger. Upon entering the event, there was a ticket booth where students paid $5 and staff and faculty paid $10. There were also tables that guests could get a wristband for the food and a raffle ticket for a prize later on, flyers and information was also situated on the tables as well. Music could then be heard playing from a live band as guests stood online for an array of food waiting to be served. The dishes served included the following: turkey, mashed potatoes, stuffing, vegetables and cornbread, alongside drinks as well. The air was filled with conversations about the event and its purpose, and it was apparent that everyone there understood that this event was going toward a solution to help those in need during the Thanksgiving season. Moreover, the event presented the audience with guest speaker Michelle Jansen. Jansen is the director of School Programs and Community Outreach at the Community Food Bank of NJ. She spoke about the special relationship Kean has with the CFBNJ and how grateful she is of the school's support, which she notes comes year round. The Kean community was proud to hear of all that the volunteering students have done like working at soup kitchens on Saturday mornings. As per the raffle tickets, many students and faculty won during the raffles. Student Government offered prizes such as: t-shirts, travel mugs, Barnes & Noble gift cards and a signed New York Jets poster. The raffle livened up the event, giving guests more opportunity to enjoy it. Students such as Trevonnia Atily were eager to speak about the importance of this event and why they participated in the festivities. Atily, a sophomore studying communication and also a worker for the Office of Student Government, gave insight into the benefits of the event. "With every event there is an important message and this one isn't any different. With this event we are bringing awareness to people dealing with hunger and we want to help them through that platform. It's important to contribute things to those who don't have the same things as we do," said Atily. Alexa Cantres, managing assistant director of Student Government, and Lia Dipiazza, coordinator for Student Government, described the event and what it stands for. "For the Food Bank Luncheon, we partner with the Community FoodBank of New Jersey that is located in Hillside, NJ, with 100% of our proceeds going to them. CFBNJ uses this money to offer food and nutritional programs to people of all ages. This year we also received donations from Gourmet Dining, Barnes and Noble, and JCM," said Dipiazza. Dipiazza spoke of the salient nature of the event, explaining that the event raises awareness about the real world and the situations happening in the community. "It is especially important to emphasize [the issues of hunger and homelessness] during the holidays while we are recognizing things we are thankful for," Dipiazza said. 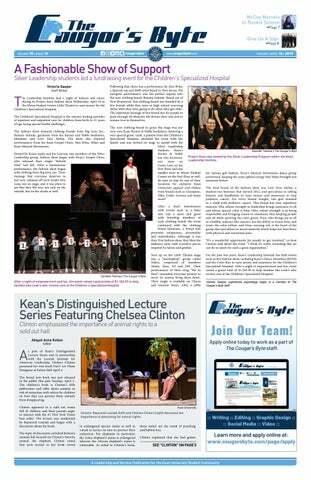 "With Kean being one of the most diverse campuses in the country, it is important that we stay involved in our community and aware of things that are happening in communities that we might not be a part of." Diapiazza understands that only positive outcomes can arise with an event like this. "We usually raise around $3,000 to donate to the CFBNJ which is a huge success. Along with the money being donated, it is also great to spread awareness of the hunger issue in our community," said Diapiazza. This event was truly one that showcased how a community can come together and support a meaningful and significant cause.